Welcome to Dr. Amerian’s monthly newsletter. In this communication to our patients, we hope to be able to inform you about what is new in dermatology and skin care, share with you new treatments to maintain and enhance the appearance and health of your skin, and provide you with good advice as to how you can take better care of your skin. Please feel free to make any recommendation you may have regarding how we can make this newsletter of most benefit to you. Botox has now been approved by the U.S. Food and Drug Administration for the treatment of excessive armpit sweating, a condition known medically as hyperhydrosis. Botox is now an important new treatment option for patients living with severe armpit sweating that is not well controlled with topical agents. In the clinical trials that led to the FDA’s approval, 86% of treated patients showed a significant reduction in armpit sweating. When injected into the armpits, Botox acts by blocking the release of sweat by the sweat glands, resulting in a significant reduction in sweating within three to seven days. On average, patients have maintained their results for over six months. Dr. Amerian is pleased to announce that she is making this treatment option available to her patients who are bothered by excessive armpit sweating. Dr. Mary Lee Amerian is proud to announce that we will soon be obtaining our new FRAXEL SR Laser. The FRAXEL SR laser became available in April of 2004, and is the only laser made today that utilizes a new technology called Fractional Resurfacing. With Fractional Resurfacing Technology, the desired results are obtained by treating a fraction of the skin’s surface at a time. During the treatment, a series of microscopic closely spaced laser spots is delivered to the skin while simultaneously preserving normal healthy skin between the laser spots. This preservation of healthy skin results in rapid healing following the laser treatment. The laser has been FDA approved for treatment of wrinkles around the eyes and treatment of age spots, sun spots, and sun damaged skin. The entire face can be treated with the laser in approximately 30 minutes. Clinical studies suggest that an effective treatment plan is 3 to 5 sessions, spaced one to two weeks apart. Results are immediate and progressive, with the optimal cosmetic improvement usually visible in 3-6 months. Patients have been quite pleased with their results. Treatments with the FRAXEL SR laser have no significant recovery downtime. There is no need for pain medicine after the treatment, because any discomfort is minimal. The skin will have a pinkish tone for a few days, which is a normal sign that the skin is healing. Patients can go back to work immediately after their treatment or the next day. Dr. Amerian will be among the first dermatologists in Southern California to obtain this laser and make it available to her patients. We are currently holding consultations with patients who believe they would benefit from this new laser technology or who have questions about it. 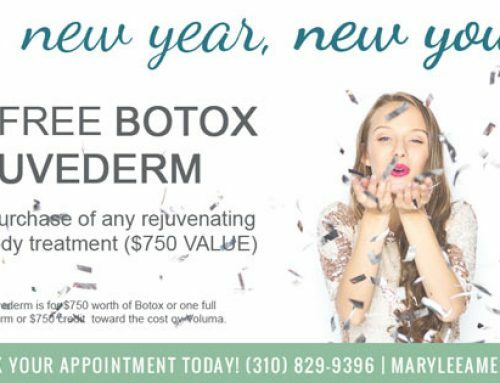 Our patients are invited to call 310-829-9396 to make an appointment to discuss this new facial rejuvenation treatment. 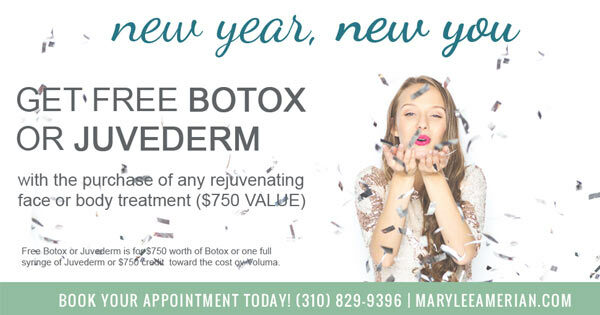 You can always request an appointment online. All of us living in Southern California enjoy our beautiful sunny weather. However, many adverse skin conditions, including premature aging, skin discoloration, wrinkling, and skin cancers, result at least in part from excessive exposure to the sun. For this reason, especially during the summer months, it is important to take steps to prevent over exposure to the sun. In order to protect your skin from the sun, try to follow these recommendations. They have been endorsed by the environmental protection agency.